The Chart example shows how to create a custom view for the model/view framework. 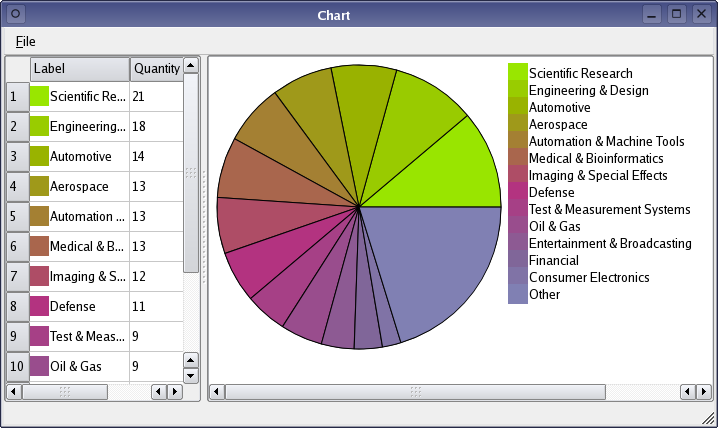 In this example, the items in a table model are represented as slices in a pie chart, relying on the flexibility of the model/view architecture to handle custom editing and selection features. Note that you only need to create a new view class if your data requires a specialized representation. You should first consider using a standard QListView, QTableView, or QTreeView with a custom QItemDelegate subclass if you need to represent data in a special way.